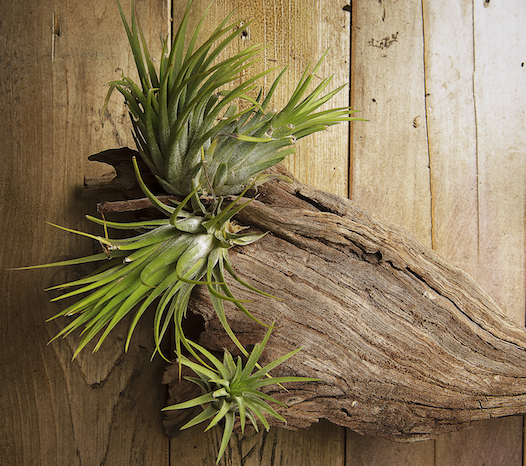 Tillandsia (a type of bromeliad often known as ‘air plants’) make a great statement piece in glass, for terrariums or on driftwood. Their small, architectural forms make beautiful living sculpture. 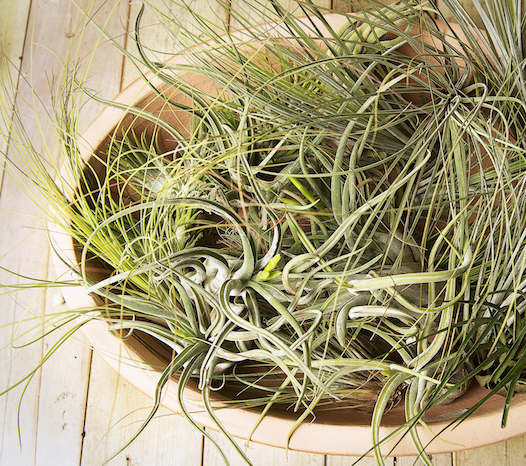 Well-suited to the indoor environment, Tillandsias require only ambient light and water. They prefer not to be planted in soil and are found growing on trees or rocks in their natural habitat. 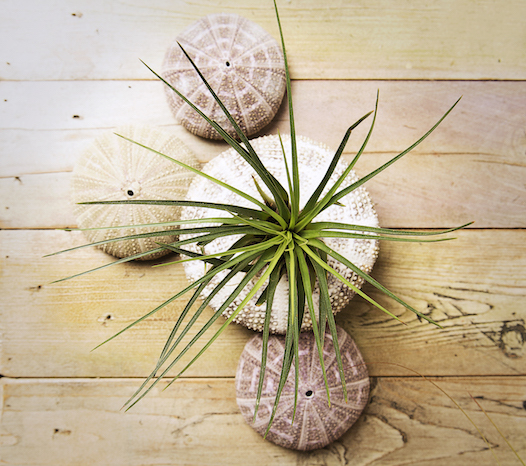 They can be placed on many surfaces with the help of horticultural glue for maximum creativity!